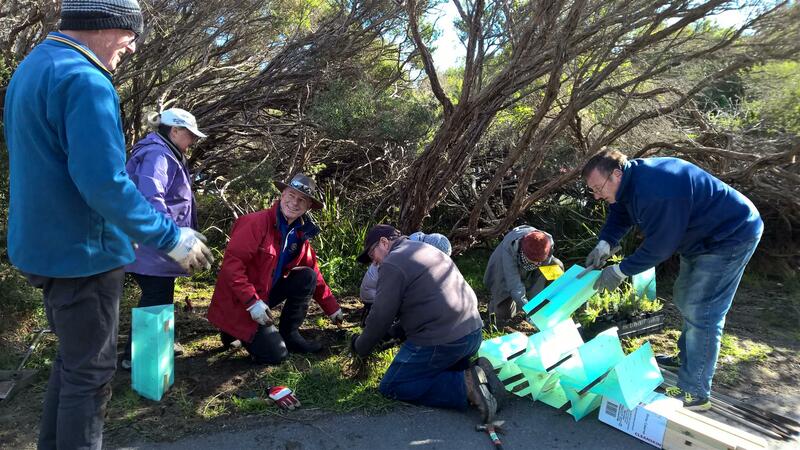 On National Tree Day club members and friends joined with community members from the Borough of Queenscliffe to weed areas of the dunes near the Dog Beach car park and plant indigenous vegetation. The forecast rain and hail held off and it was a fun and productive morning. Sustainability is one of Rotary's areas of focus this year.